Multiple sources who spoke to the Free Beacon say that Monday’s presentation by Netanyahu resulted from a recent conversation between the prime minister and Trump, who has expressed his opposition to remaining in the deal. 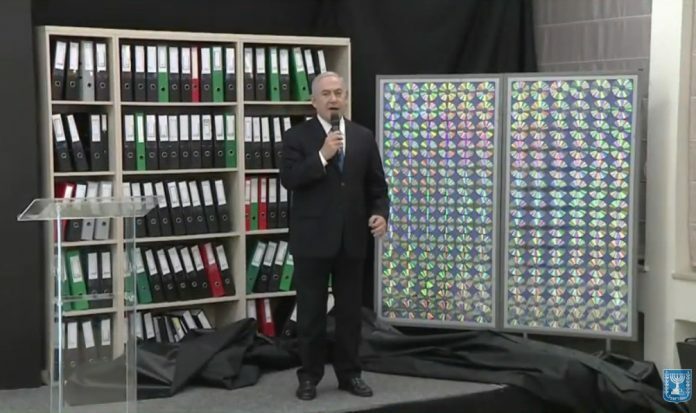 During his presentation, Netanyahu disclosed that Israel had obtained some 100,000 secret documents that provide “conclusive proof” Iran lied to the world about its past nuclear work. 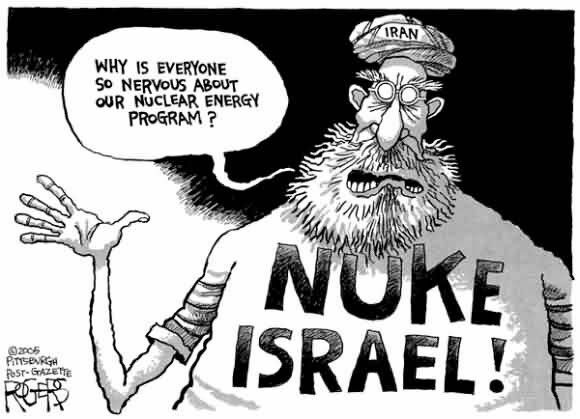 The Israeli leader further presented information from these documents purporting to show that Iran continues to build on its nuclear know-how in pursuit of a fully functioning weapon. While Trump has not made a final decision on whether to scrap the deal, sources close to the president say he is increasingly wary of the deal itself, as well as proposed fixes to the deal currently being discussed by the Europeans. One senior administration official, speaking only on background, confirmed to the Free Beacon that the United States assessed the secret documents obtained by Israel to be fully authentic. “All the materials we have reviewed are in our assessment authentic,” the official said, praising Netanyahu for presenting the evidence to the world. The cache of documents showing that Iran has retained the infrastructure and know-how to produce a nuclear weapon has cast further doubts on U.S. efforts to broker a series of fixes to the landmark agreement. Following Netanyahu’s remarks, Trump emphasized his opposition to the deal. Those familiar with the president’s thinking said that he has soured on efforts to fix the deal and would prefer to see a wholly new agreement, a demand Iran has rejected in recent days. A senior congressional official who has worked closely with the White House on the Iran issue told the Free Beacon the news has sent shockwaves through Capitol Hill. The White House National Security Council and the State Department have yet to comment formally on Netanyahu’s disclosures. The Free Beacon will update this report as more information becomes available. Israel’s prime minister says his government has obtained “half a ton” of secret Iranian documents proving the Tehran government once had a nuclear weapons program. Calling it a “great intelligence achievement,” Benjamin Netanyahu said Monday that the documents show that Iran lied about its nuclear ambitions before signing a 2015 deal with world powers. Speaking in English, perhaps with an international audience in mind, he says the material is filled with incriminating evidence showing the Iranian program, called “Project Amad,” was to develop a weapon. Tags: Compliance or Defiance ? Netanyahu’s office billed the televised statement as a “significant development” regarding the Iran nuclear deal, but it largely rehashed what the world long ago accepted: That Iran sought to develop nuclear weapons. That acknowledgement marshaled international support for a U.S. campaign to impose a tough series of sanctions against Iran. The impact of those sanctions brought Iran to the negotiating table, ultimately producing the 2015 Iran nuclear deal. Netanyahu’s remarks come less than two weeks before U.S. President Donald Trump must decide whether to continue suspending sanctions against Iran under that deal, or restore the penalties on one of the world’s biggest oil producers. 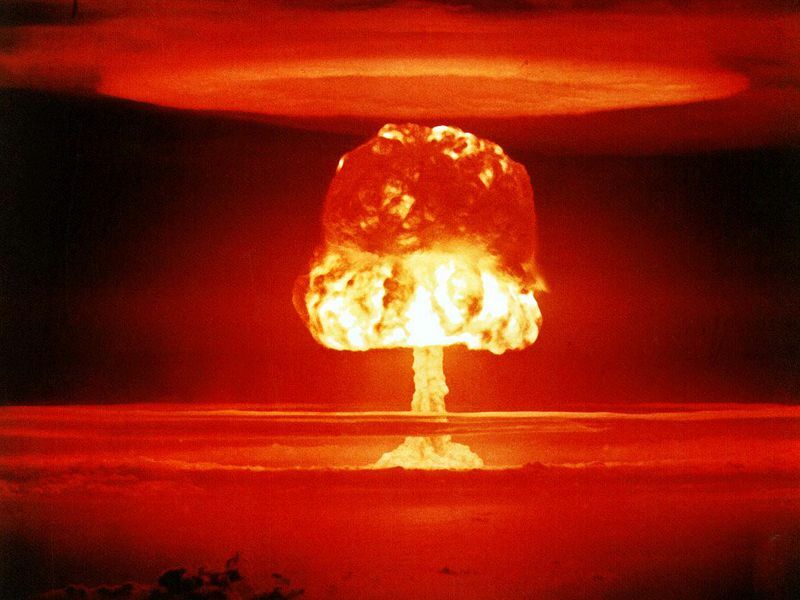 Iranian leaders have long said their nuclear program is only for peaceful purposes. But Netanyahu on Monday unveiled tens of thousands of pages of documents, which he said were copied from a “highly secret location” in Iran. “We’ve shared this material with the United States and the United States can vouch for its authenticity,” Netanyahu said. 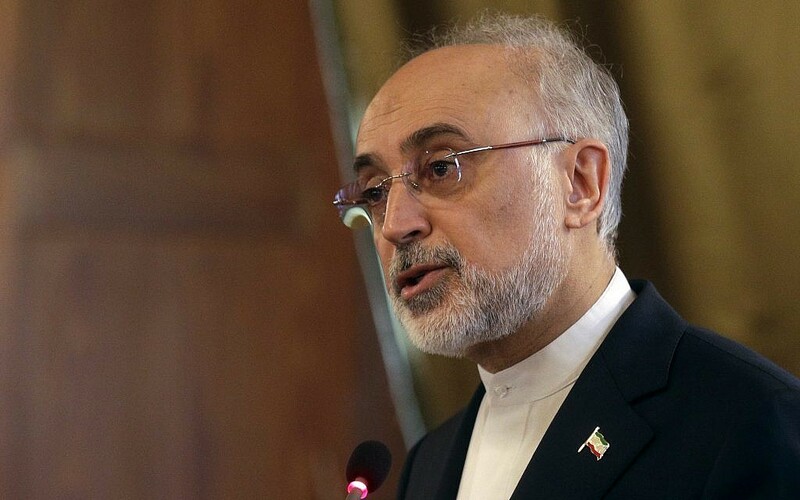 The International Atomic Energy Agency and the signatories to the agreement have repeatedly confirmed that Iran is complying with the deal as it is written. Israeli defense officials have told their American and Russian counterparts that if Iranian-backed forces attack Israelfrom inside Syria, Jerusalem will not hold back from retaliating with direct strikes against Tehran or other targets in Iran. But the news agency reported that Israeli Intelligence Minister Yisrael Katz told a radio broadcast Monday that he was “not aware” of the missile strikes. Mr. Netanyahu, meanwhile, is expected to make a statement after an emergency security cabinet meeting in Israel on Monday. Haaretz cited unnamed officials as saying Israel, which enjoys robust support from Washington, is prepared to attack Iran broadly, both on Iranian soil, but also in Syria. The main target, the paper reported, would be bases where Iranian forces have been located since the Syrian civil war began — bases that serve as conduits to transfer weapons and gear up for further Iranian establishment in Syria. Israel has been sporadically bombing Hezbollah positions in Syria for the past three years. But the tensions between Jerusalem and Tehran reached new heights in February after what Israeli officials claimed was an Iranian armed stealth drone was intercepted and downed over Israel. An Israeli F-16 fighter jet was in turn shot down by anti-aircraft fire from inside Syria during an apparent retaliatory airstrike claimed by Iranian sources. Iran and Lebanon’s Hezbollah movement — Tehran’s most potent military proxy in the region — are seen to be emboldened by their success in working with Russian forces during recent years to uphold the Assad government in Syria while Washington has backed opposition forces against it. At the same time, Israel is seen to be growing more and more wary of being attacked by missiles not just from Hezbollah forces in southern Lebanon but also from inside Syria. Prime Minister Benjamin Netanyahu will announce a “significant development” regarding Iran’s nuclear deal with world powers in a live speech at 8 p.m. Monday, his office said. Netanyahu will give the statement at the Defense Ministry headquarters in Tel Aviv. 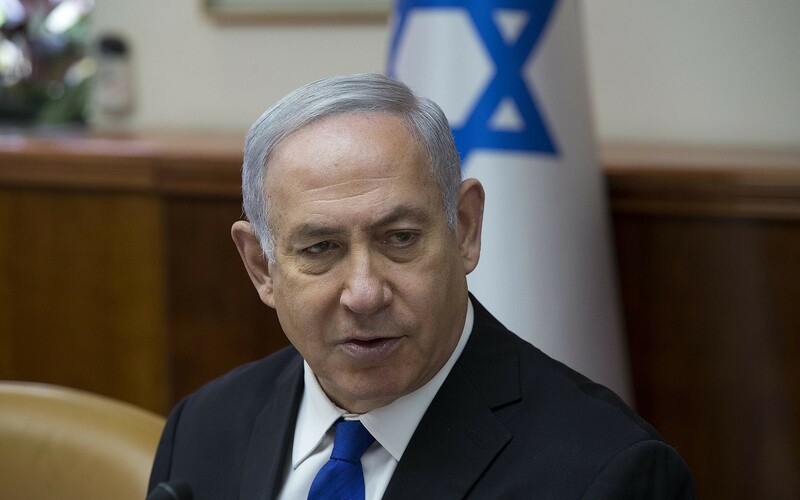 According to Hadashot news and Channel 10 news, Netanyahu will reveal intelligence information, based on a large cache of documents recently obtained by Israel, which he believes proves Iran has duped the world regarding the state of its nuclear program. Channel 10 reported that Netanyahu will speak in English, in order for the announcement to reach a worldwide audience. Ahead of his remarks, Netanyahu cancelled a speech he was to make at the Knesset and his Likud party called off its weekly faction meeting due to the security tensions. The opposition Zionist Union and Yesh Atid parties withdrew their proposed no-confidence vote in the government. Netanyahu’s announcement will come a day after he met with US Secretary of State Mike Pompeo, who said US President Donald Trump will withdraw from the nuclear accord on May 12 barring significant changes. Both Trump and Netanyahu have harshly criticized the 2015 nuclear deal, taking aim at its “sunset” clauses and saying it does not address Iran’s ballistic missile program or involvement in numerous regional conflicts. The premier also spoke with Trump by phone Sunday, with the White House saying the two discussed Iran’s “destabilizing activities” in the region. The coming announcement also comes after an airstrike in Syria early Monday, attributed by some to Israel. The strike destroyed some 200 surface-to-surface missiles and killed 16 people, including 11 Iranians, according to a New York Times report. Iran denied that any of its soldiers were killed or that its bases had been targeted in the raids, although Supreme Leader Ayatollah Ali Khamenei later warned the Islamic Republic’s foes they will be “hit multiple times” if they attack Iran. That attack came after an earlier airstrike this month on an Iranian military facility in Syria that was blamed on Israel, in which Iran acknowledged seven of its soldiers were killed and vowed to respond to the attack. In the wake of Iran’s warning, Israeli officials have informed the United States and Russia that Israel will respond to any attack from Syria by Iran or its proxies, the Haaretz daily reported Monday. According to the officials quoted by the newspaper, Israel could launch a widespread attack on Iranian sites in Syria if attacked, with the main targets being bases established by Tehran for weapons transfer and storage. The report said the extent of a response by Israel to any attack on its territory by Iran or its proxies has been debated recently in Israeli political and security circles, with political elements favoring attacking targets in Iran itself, while the security establishment opposes expanding the battlefield against the Islamic Republic.